Today we’re taking a look at 10 of the most affordable high quality Swiss made watch brands available. If you’re after a high-quality watch, Swiss made is the way to go. Swiss watches are usually known for their extremely expensive luxurious nature with top quality craftsmanship and impressive mechanisms. However, did you know there are Swiss watch brands available that offer great value for money whilst still remaining high quality? So today I’m going to show you 10 of the best cheap Swiss watch brands available, I say cheap, we all know I mean they’re a lot less than the £2,000+ watches you’re used to seeing from Swiss brands. I hope you enjoy the article and don’t forget to leave a comment below letting me know which is your favourite. If you’re looking for affordable swiss watches our list aims to help you make the right decision. After this, you should check out our 100 best watches under £1000, where we take a look at some of the most popular automatic watches available, many of them are from brands featured on this list. Raymond Weil is one of the world’s last independent brands remaining in the Swiss watch industry. It was founded back in 1976 in Geneva. It was created by Raymond Weil and has remained a family company all this time. Sadly Raymond Weil passed away in 2014, the company is managed by his two sons and his step-son. Bulova launched back in 1875 with a flagship store in Manhattan. Since those days Bulova has grown to become one of the longest-established watch brands globally. They are well known worldwide for using only the best quality materials. One of the great things about Bulova is that they offer a selection of watches at a variety of price points, meaning there is often something affordable for everyone. I myself happen to be a big fan of their Bulova UHF collection. Take a look at our 10 most popular Bulova watches for 2016. Longines has been producing Swiss watches since it was founded back in 1832 by Auguste Agassiz. They are a luxury watch producer based in Saint-Imier, Switzerland. Nowadays the Longines company is owned by the Swatch Group. Longines are probably best known for their range of “Aviator” style watches. Longines is a big seller of luxury sports and chronograph style timepieces. Fun fact, the Longines winged hourglass logo is the oldest registered trademark for a watchmaker. TAG Heuer has been continually revolutionizing watchmaking since it was founded by Edouard Heuer at the young age of just 20 years old back in 1860. Their selection of watches and chronographs offer exceptional quality and are very reliable and robust. TAG Heuer created a name for themselves by providing irresistible timepieces that conveyed a sense of power whilst remaining affordable. TAG Heuer watches are closely connected to the world of motor racing and the art of marking infinitely small times. If you have a keen interest in yachting or surfing then their 500m waterproof collection would be perfect for you and I highly recommend you check them out. 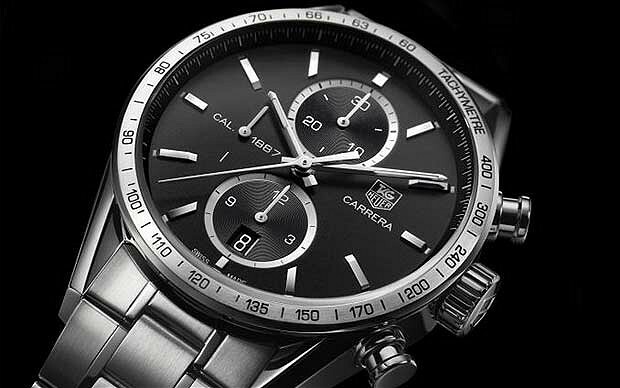 Read our 9 most popular TAG Heuer watches for men. Victorinox may be known for their Swiss Army knives but they produce some truly stunning luxury Swiss watches. The creation of their iconic Swiss Army knife back in 1897 that was developed by Karl Elsener gave the company a solid foundation to get it to the level it is at today. Their luxury Swiss watches abide by all the brand’s core principles such as quality, elegance, and performance. It’s nice to know that each Victorinox Swiss Army watch has undergone a strict quality control test with more than 100 checks before it reaches you. Their watches are not only high quality, they have understated glamour with a classic style and professionalism. 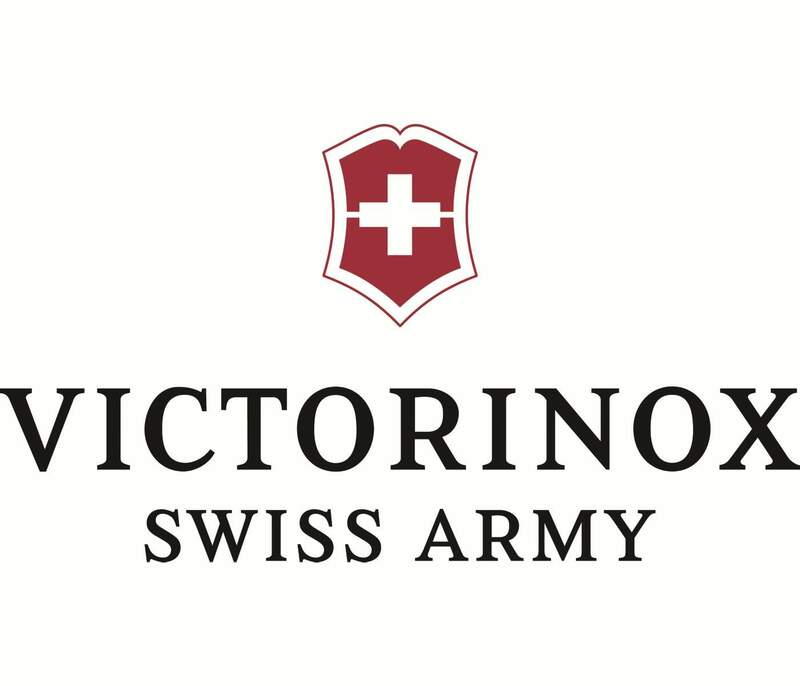 All Victorinox Swiss Army watches are designed and manufactured in Switzerland. If you’re looking for very affordable swiss watches you should definitely consider this brand. Ready our 7 most popular Victorinox watches for men. Tissot was founded by Charles-Félicien Tissot and his son Charles-Émile Tissot back in 1853 in the Swiss city of Le Locle which is located in the Neuchatel area of the Jura Mountains. Since its launch Tissot has made history thanks to its innovative designs and world-famous Swiss timekeeping technology. They produced the first mass-produced pocket watch, and also the first pocket watch with two time zones in 1853. These days Tissot is another member of The Swatch Group Ltd since they joined in 1983. They are still based in Le Locle, Switzerland to this day. 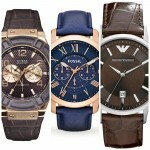 Read our 9 most popular Tissot watches under £500. Maurice Lacroix was founded as part of the Desco von Schulthess of Zurich back in in 1975. The parent company Desco von Schulthess was founded back in 1889 and originally has roots in the silk trade. Over the years Desco had become more and more interested in the watch business, since 1946 it has been a representative to such luxury watch makers as Audemars Piguet, Heuer, Eterna and Jaeger-LeCoultre. Later in 1961 they bought an assembly facility in Saignelégier, in the Swiss Canton of Jura. It started out producing private label watches for third parties but in 1975 they started marketing their own brand of watch under the name Maurice Lacroix. By 1980 they had become so popular that they decided to cease producing watches for third parties so they could concentrate on their own brand. Maurice Lacroix keeps to its Swiss roots with an ethic of creating high-end precision timepieces that use a synergy of modern technology and traditional methods. We feature a Maurice Lacroix in out top 21 Most popular men’s watches under £500. Movado was founded by Achilles Ditesheim back in 1881 in La Chaux-de-Fonds, Switzerland. Over 100 years later the company was purchased in 1983 by Gedalio Grinberg who was a Cuban-born Jew that had fled Fidel Castro’s Marxist revolution. Mondaine is instantly recognised for their iconic watch face design that dates back to 1944 when Hans Hilfiker created what would become the face of Swiss Federal Railways. Their signature style is simplistic and function yet has a contemporary twist with its instantly recognisable red second hand. Their watches are very easy to read and straightforward. Mondaine watches are made to the high-quality standards and specifications of the traditional Swiss way. Mondaine produces a line of watches that feature a unique movement like no other: by spreading 58 seconds over the 360 degrees (rather than the usual 60 seconds), the second hand comes to a complete stop at the 12 numeral for two seconds, giving the illusion that time has stopped. Then, the minute hand advances one step and the second hand starts a new cycle. Mondaine also produces a selection of watch models that are inspired by modern art, well worth checking out. Read our The Mondaine Stop2go Will Make You Fall in Love with Quartz. Hamilton is a Swiss watch company based in Bienne, Switzerland that was incorporated back in 1892. In 1971 they became the third watch company of what was to become the Swatch Group. Hamilton produces a selection of beautiful affordable Swiss timepieces and is a fantastic choice for those who appreciate traditional wristwatch design. 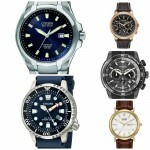 This brand are very well known for their affordable Swiss watches. Which is your favourite brand for affordable Swiss watches? Comment below and let me know what you thought of today’s post. 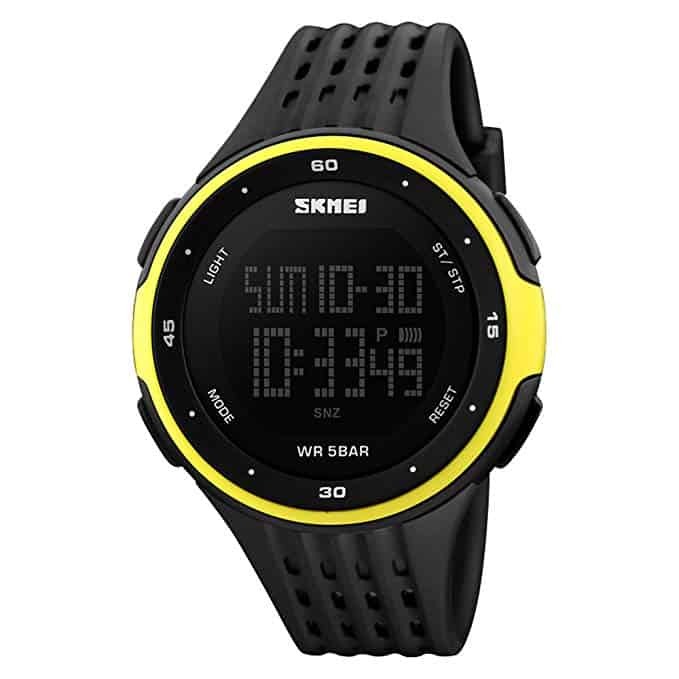 Skmei Watches Review – Are They Any Good? It’s all about the Raymond Weil watches for me. Hamilton watches should be top in my opinion. I bought mine 5 or so years ago, one of the best watches I’ve ever purchased. does anyone know of any more niche yet still affordable Swiss watch brands? Maybe even ones that just make use of a Swiss movement? I see a few kickstarter brands make use of them but I have no idea what the quality of those is like? Victorinox make some of the best affordable swiss watches in my opinion. They are very resonably priced watches for what you get. I’ve owned one for a couple of years now and it’s never let me down. If you’re looking for something more broadly recognised then I would recommend a Hamilton watch though. Mondaine are one of my favourite brands for affordable Swiss made watches right now. It’s all about that dial design.